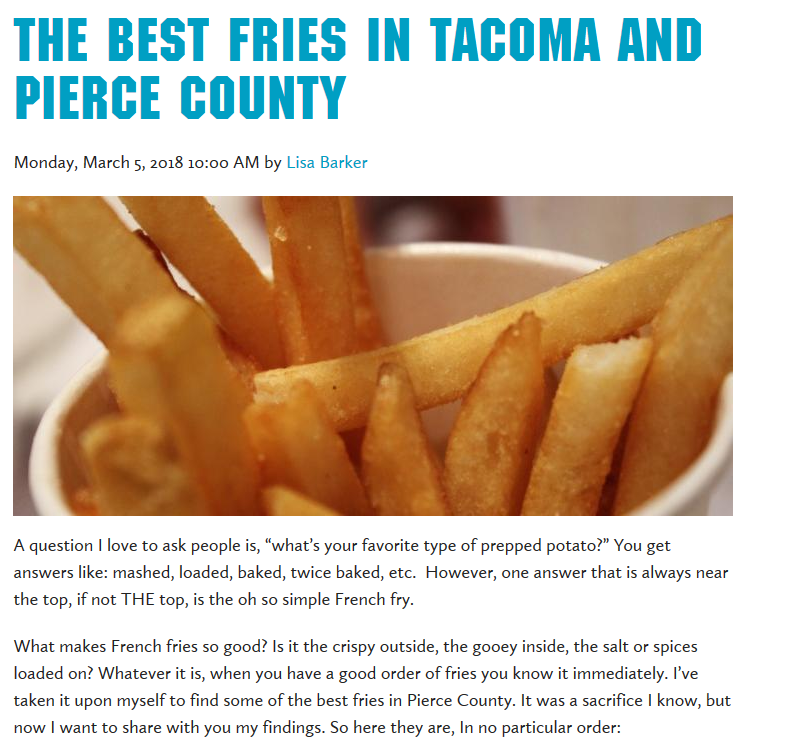 Travel Tacoma + Pierce County has picked the best fries in the county, and one of the locations is in Sumner. Which one? We’re glad you asked. Click here for the full list and enjoy with a side of ketchup…or ranch!